Little drops of water make a mighty ocean. Little acts of service make a huge difference. 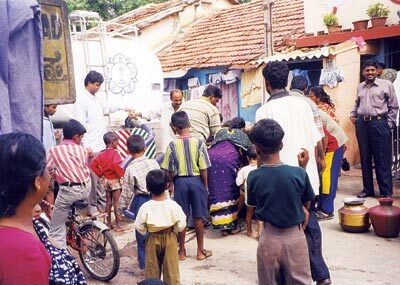 Like the one our Sai brother from Bangalore is doing. 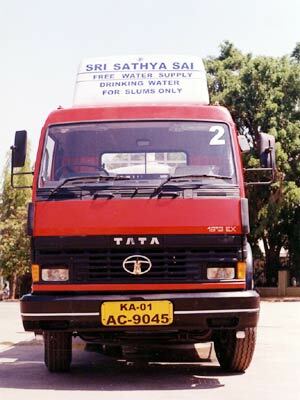 Inspired by the mammoth drinking water projects that Swami gifted to Ananthapur, Medak, Mehaboobnagar and now to Chennai, this devotee too decided to do something in his capacity to solve the drinking water problem of Bangalore slum dwellers. 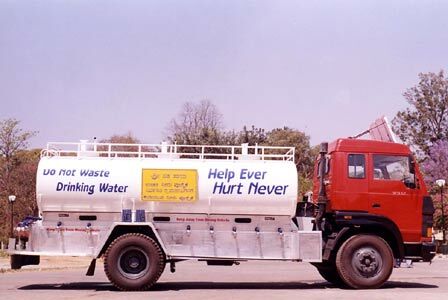 He runs a water supply tanker to the slums and gives them pure drinking water free of charge! 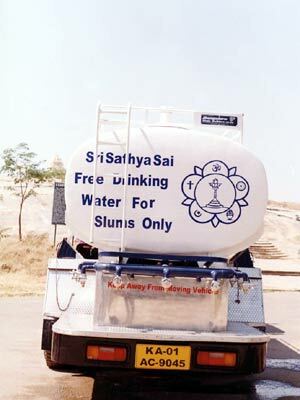 Just think what a different place this world will be if each one of us chipped in just a bit to help our less privileged brethren !As Swami says, it is the quality of service that is important and not the quantity. And where there is good intention, there is help from GOD! So, get started today! Help someone in need! Give them a sweet smile and a kind word! That too is service!